"The law allows school districts to get a state waiver if they can't find enough teachers or have insufficient classroom space. The state rarely turns down waivers, and last year 145 districts received waivers that allowed larger classes at 548 elementary schools. The Dallas school district had waivers at 31 campuses." I monitored the Senate bill last session and much of what's mentioned in this article was discussed during the hearing. I am interested to see how this plays out this session and if the budget pressures cause opinions to change at all. AUSTIN – A quarter-century-old law that has held most elementary school classes in Texas to no more than 22 students is on the endangered list as the Legislature looks for solutions to the state's massive budget deficit. Legislative leaders and Comptroller Susan Combs are moving to ease the requirement, arguing that it will save hundreds of millions of dollars while giving school districts more flexibility in educating their students. Teacher groups – backed by Democrats in the House and Senate – vow to fight to any change, contending it will reverse academic gains in elementary schools and force the elimination of up to 12,000 teaching jobs in Texas. The issue promises to be one of the most volatile of the session that begins next month, largely because the requirement has been on the books since 1984, when Dallas businessman Ross Perot spearheaded a school-reform movement in Texas. Combs, a Republican, renewed attention on the issue recently after recommending that lawmakers scrap the 22-student limit in kindergarten through fourth grade and switch to an average class-size standard of 22. In practical terms, that means an extra three students per class on average in those five grades. The current average with the 22-pupil limit is 19.3 students per class, according to figures gathered by the comptroller's office. Combs, noting that many school superintendents support the idea, said the change would save an estimated $558 million a year – primarily through elimination of thousands of teaching jobs. Sen. Dan Patrick, R-Houston, a leading advocate of revising the class-size limit, said it is costing school districts and the state "millions and millions of dollars" annually without any evidence that it is boosting achievement. "The 22-student limit was just a number pulled out of thin air. What we want to do is simply give flexibility and freedom to teachers, principals and superintendents to do what is best for students in their district," said Patrick, who tried to put an "average" class-size standard into state law two years ago. "This will not hurt the education of our students," he insisted, noting there are no class-size caps in upper grade levels in Texas. But Sen. Royce West, D-Dallas, contended that the class-size limit has been a big factor in the academic successes that Texas has seen in the early elementary grades. "When we put 22-to-1 in the law, there was a reason for doing it. There were a lot of studies showing that smaller classes were important for student achievement, especially in the elementary grades," he said. "I understand we will be dealing with a budget shortfall, but we can't afford to do things that will reverse the progress we've made in our schools. Someone will have to show me research-based studies that demonstrate it [removing the cap] won't have a negative impact on student achievement." While some national studies have been focused on the advantages of smaller classes, there is no recent research on how effective Texas' 22-student limit is in promoting academic success. In 2000, a study by the Rand Corp. praised Texas for its progress with elementary school children, citing smaller classes as a key factor in improved scores on the National Assessment of Educational Progress. "States at the top of the heap generally have lower pupil-teacher ratios in lower grades," said the study, noting that Texas children outscored their counterparts in California largely because of smaller classes. In addition, a 1999 report from the Texas Education Agency said that research across the country indicated that class-size restrictions have the greatest impact on student achievement when classes are less than 20 students, especially for economically disadvantaged and minority students. •The law included the no-pass, no-play rule, pre-kindergarten for low-income children, and the state's high school graduation test. It was passed under the leadership of Perot and former Democratic Gov. Mark White. •There is no doubt the 22-pupil limit is costly because every time a class in the five affected grade levels hits 23 or more students, a new class must be created with an additional teacher and classroom. One superintendent from the Houston area said each new class costs his district $100,000 to $150,000. •The law allows school districts to get a state waiver if they can't find enough teachers or have insufficient classroom space. The state rarely turns down waivers, and last year 145 districts received waivers that allowed larger classes at 548 elementary schools. The Dallas school district had waivers at 31 campuses. Senate Education Committee Chairwoman Florence Shapiro, R-Plano, said superintendents across the state "have asked that we relieve them of state mandates that are very expensive," knowing that lawmakers will be looking for places to save money next year. For now, Shapiro said she agrees with Combs' recommendation to shift to a class-size average in the elementary grades rather than have a strict limit on the number of students per class. "It would give flexibility to superintendents. It strengthens local control and gives them the opportunity to save some dollars," she said, noting that school officials could decide to keep some classes at 15 students and others at 22 or 25. Both Shapiro and House Public Education Committee Chairman Rob Eissler, R-The Woodlands, said that the quality of the teacher is more important than the number of students in the classroom. "Effective teachers are more important than class size," Eissler said. "We need to find more efficient ways to run our schools, pay our best teachers better and give more of our kids exposure to our best teachers." Teacher leaders countered that the 22-pupil limit has been critical to achievement gains for elementary school students over the last two decades and now is not the time to weaken or water down the standard. Richard Kouri of the Texas State Teachers Association said the class-size cap has been one of the most popular requirements in the schools for years. Adopting the comptroller's recommendation to eliminate the cap "will put a lot of teachers out of work and put a lot of kids in bigger classes," he said. "Is that what Texas parents really want?" Linda Bridges, president of the Texas chapter of American Federation of Teachers, said the proposed change in the law represents "a giant leap backwards" in efforts to improve student achievement. She also called "absurd" Combs' assertion that 25 students in a class won't have any adverse effect on learning. "The comptroller has managed to ignore decades of scholarly research and what parents and teachers know intuitively – that smaller classes are better for children, especially in the early grades." Fewer courses will be used to calculate class rank. The Austin school board approved changes Monday to the way class rank for high school students is calculated a move officials say will encourage students to take more challenging classes in key areas. However, the new policy will also make it harder for some students to make it into the top 10 percent of their class, necessary to take advantage of Texas' automatic college admission law. Class rank now will be calculated using four courses each in math, science, social studies, and English and language arts. Two foreign language courses also will be part of the equation. Electives will no longer be factored into the calculation. If students take more than the required courses in a given subject, the four highest grades will count toward class rank. Administrators have said that the new system could spur students to take additional advanced academic coursework in core courses because it could boost their grade-point average, but the system won't harm their rank if they don't do as well. The change will go into effect next fall for incoming freshmen. Under the current class rank system, upper-level electives, such as advanced jewelry , are counted the same as advanced core courses, such as calculus. District officials decided to change the policy after some parents and students complained that weighted credits were available for some electives, such as fine arts, but not others, such as athletics. Trustee Vincent Torres said the change "really levels the playing field so that all of our students can be considered fairly in evaluating class rank and levels their opportunity to access state universities and colleges through the top 10 percent rule." Students in the top 10 percent get automatic admission into the state's public universities, except for the University of Texas at Austin, which will require current seniors to hit the top 8 percent for fall 2011 admission. School districts across the state have different ways of calculating class rank. Though the state passed a 2007 law that would have created a uniform way to calculate class rank, the law was repealed before it went into effect. Ten years ago, the Round Rock school district adopted a class rank policy similar to the policy Austin adopted Monday. Policies in other Central Texas districts vary. The changes in Austin mean students will have two grade-point averages — one for class rank, including to determine valedictorian, and another to determine a cumulative grade-point average that can be used on college applications, said Christy Rome, director of intergovernmental relations for the district. About two dozen parents who commented on the changes on a district webpage were almost evenly divided. On Monday, trustees also changed the eligibility rules for valedictorian and salutatorian. Candidates for those top two spots now must have been at their high school for two consecutive years to qualify, a year longer than the current policy. Graduation, retention rates at two-year schools lag behind those of four-year universities. When it comes to enrollment, community colleges in Texas are on a tear. The number of students attending public two-year schools, including community and technical colleges, surged 12.2 percent to 692,845 from 2008 to 2009, according to the most recent state-certified figures. In contrast, enrollment at public universities grew just 4.5 percent to 532,226. The Texas Higher Education Coordinating Board expects community college enrollment to continue rising at a fast clip because of the schools' varied work force and academic offerings, open admissions policies and tuition rates that are a fraction of those at four-year schools. The growth comes as community college funding is being cut sharply to help address a multibillion-dollar shortfall in the state budget. That, in turn, is putting pressure on governing boards to raise tuition and property taxes. • Only about 30 percent of students who enroll full time at two-year schools to pursue a degree or certificate achieve that goal within six years. The six-year graduation rate for the state's public four-year universities is almost twice as high. • Nearly half of students who enroll in community colleges right after graduating from high school are not prepared to do college-level work in one or more areas, with math the most common deficiency. And of those who take remedial, or developmental, courses in math, reading or writing, most don't end up taking a college-level course, much less passing one. • Two-year schools have lower retention rates than their four-year counterparts, with 67 percent of community college students continuing their studies after the first year, compared with 88 percent at universities. Some observers worry about community colleges' expanding share of the enrollment pie. A four-year school not only offers a better statistical shot at earning a degree but also the chance to absorb broader, life-enriching exposure to the arts, economic issues, global affairs and so forth, said Lisa Fielder, executive director of College Forward, an Austin-based nonprofit that helps low-income students apply to college, obtain financial aid and stay enrolled. Of the 283 College Forward students who began postsecondary studies this fall, 80 percent enrolled in four-year schools. "We encourage our students to attend schools where they have the very best chances to be successful in the least amount of time," Fielder said. "But we are not dogmatic in this." David Gardner, deputy commissioner of the Higher Education Coordinating Board, said he doesn't find the enrollment trends at community colleges worrisome. He said community colleges are attractive to many students for reasons of cost and access. Moreover, community colleges serve a wide demographic, including working adults, students with families and part-time students. Randal "Splash" Vela is one of the stars in the community college firmament. The odds were stacked against him when he enrolled at Austin Community College in the spring of 2009. He had been out of high school for more than 20 years. He needed developmental training in math and writing. He lacked confidence in his study skills. But Vela was determined to succeed, and he wasn't shy about asking for help. He signed up for Intersections, a learning community of students taught by Frank Cronin, an associate professor of developmental writing, and Don Lavigne, an associate professor of math. Cronin became a kind of all-purpose mentor and sounding board for Vela, who got four A's on his first report card and soon landed part-time work as an Intersections peer instructor. The one-time developmental math student now hopes to transfer to Texas State University and become a middle school math teacher. "I surrounded myself with support," the 40-year-old Vela said. "But you have to dig for it, and most students don't have the fortitude to dig for what they need. It needs to be put in the forefront as a schoolwide function." Many higher education leaders agree. Indeed, the state coordinating board recommended in a November report that schools require student-faculty consultations, tutoring and participation in study groups. The coordinating board also urged lawmakers to create financial incentives for community colleges to boost academic performance. Instead of doling out state tax dollars based on enrollment, which is the current practice, the Legislature would adopt a pay-for-performance model for a portion of the money. Under such a model, community colleges would be rewarded when students pass developmental classes, complete their first college-level math and English courses, and earn certificates and degrees. The intent is to get the colleges to ramp up academic advising, developmental education and other student-focused services. Additional support is especially needed for the growing population of students who are the first generation in their families to attend college, said Martha Ellis, associate vice chancellor for community college partnerships at the University of Texas System. "You have to provide all of the information for these students," said Ellis, a former president of Lee College, a two-year school in Baytown. "They don't have anyone else to ask. They don't even know what questions to ask." It will be difficult for community colleges to maintain academic support programs, much less expand them, in light of the state's budget woes. The state is facing a possible shortfall of $24 billion in the next two-year budget, and community colleges — like four-year schools — have had to submit plans for a 10 percent trim, on top of 7.5 percent in cuts from the current budget. Lawmakers might well impose reductions much greater than 10 percent during the legislative session that begins in January. Higher education has been especially vulnerable at tight budget times because lawmakers are generally less willing to slash children's health insurance, Medicaid and public education. ACC President Stephen Kinslow said he hopes to avoid layoffs and reductions in student-support services by cutting back on technology and capital spending. The college would need voter approval to raise property taxes and isn't planning to pursue that, he said. "I think it's clear that tuition will have to be increased," Kinslow said, adding that he doesn't know by how much. If budget problems persist, the school would eventually have to thin its instructor ranks and scale back programs and services. "We're being asked to do a great deal more with a great deal less," Kinslow said. "It's not a good recipe for success and for meeting the state's goal of ensuring a qualified work force." I think there are many things that are "improper" about the way we use testing and how much instructional dollars go into the pockets of testing companies, and now to people like Fremer. I share this article not because there is anything useful that Fremer is doing to promote equity, learning, or quality education, but rather to make it known how the culture of testing has created yet another niche for business. Think of this when your local school or district is telling you there is no longer money for art, or in Texas for band and football... this is surely coming this session. Mississippi had a problem born of the age of soaring student testing and digital technology. High school students taking the state’s end-of-year exams were using cellphones to text one another the answers. With more than 100,000 students tested, proctors could not watch everyone — not when some teenagers can text with their phones in their pockets. So the state called in a company that turns technology against the cheats: it analyzes answer sheets by computer and flags those with so many of the same questions wrong or right that the chances of random agreement are astronomically small. Copying is the almost certain explanation. Since the company, Caveon Test Security, began working for Mississippi in 2006, cheating has declined about 70 percent, said James Mason, director of the State Department of Education’s Office of Student Assessment. “People know that if you cheat there is an extremely high chance you’re going to get caught,” Mr. Mason said. Its clients have included the College Board, the Law School Admission Council and more than a dozen states and big city school districts, among them Florida, Texas, Washington, D.C., and Atlanta — usually when they have been embarrassed by a scandal. “Every single year I’ve been in testing there has been more cheating than the year before,” said John Fremer, 71, a Caveon co-founder who was once the chief test developer for the SAT. Exposing cheats using statistical anomalies is more than a century old. James Michael Curley, the so-called rascal king of Massachusetts politics, and an associate were shown to have copied each other’s civil service exams in 1902 because they had 12 identical wrong answers. Probability science has come a long way since then, and Caveon says its analysis of answer sheets is the most sophisticated to date. In addition to looking for copying, its computers, which occupy an office in American Fork, Utah, and can crunch up to one million records, hunt for illogical patterns, like test-takers who did better on harder questions than easy ones. That can be a sign of advance knowledge of part of a test. When the anomalies are highly unlikely — their random occurrence, for example, is less than one in one million — Caveon flags the tests for further investigation by school administrators. Although its data forensics are esoteric and the company operates in the often-secretive world of testing, Caveon’s methods are not without critics. Walter M. Haney, a professor of education research and measurement at Boston College, said that because the company’s methods for analyzing data had not been published in scholarly literature, they were suspect. “You just don’t know the accuracy of the methods and the extent they may yield false positives or false negatives,” said Dr. Haney, who in the 1990s pushed the Educational Testing Service, the developer of the SAT, to submit its own formulas for identifying cheats to an external review board. David Foster, the chief executive of Caveon, said the company had not published its methods because it was too busy serving clients. But the company’s chief statistician is available to explain Caveon’s algorithms to any client who is curious. Other means that the company uses to stop cheating are not based on statistics. For the Law School Admission Council, which administers the LSAT four times a year to a total of more than 140,000 people, Caveon patrols the Internet looking for leaked questions on sites it calls “brain dumps,” where students who have just taken an exam discuss it openly. “There’s all kinds of stuff on the blogs after the test trying to guess which stuff will show up in the future; there’s a whole cottage industry,” said Wendy Margolis, a spokeswoman for the council. Caveon, which declined to reveal what it charges clients, sends letters to the people who operate those Web sites requiring them to take down the material under the Digital Millennium Copyright Act. Standardized testing is controversial with some parents and educators, but not to Dr. Fremer, Caveon’s longtime president, who recently gave up managerial duties. He credits testing with helping him escape from a working-class background. The son of a New York City firefighter, he earned a Ph.D. from Columbia in educational psychology and measurement, and then went to work for the Educational Testing Service. He first worked in the verbal aptitude department and later spent seven years leading a major overhaul of the SAT in 1994. Dr. Fremer has little patience with critics who say standardized tests do not accurately measure academic prowess. More rumpled academic than business type, Dr. Fremer has an air of great confidence and interest in his own ideas. He likes to tell stories, which frequently devolve into lengthy digressions. His home office near Atlantic City is the lair of an eccentric, packed with collections of casino matchbooks (he does not smoke) and empty cigar boxes (he thinks about turning them into pocketbooks). “At this stage of my life, I’m an icon,” he said without an iota of self-consciousness. Although it is in Caveon’s interest to dramatize or even inflate the incidence of cheating, the company was criticized this year by a state governor for underestimating it. Hired to analyze English and math tests from Atlanta students after a state audit identified dozens of schools where cheating might have occurred, Caveon found far fewer problems. It identified a dozen elementary and middle schools at which cheating had probably taken place, but it essentially exonerated 33 others on the state’s list of suspect schools. Gov. Sonny Perdue criticized that conclusion and appointed his own investigators in August. In an interview with The Atlanta Journal-Constitution, he accused Caveon of seeking to “confine and constrain the damage” and suggested it was trying to protect its business prospects with other school districts. Dr. Fremer dismissed that suggestion. Caveon’s data forensics on answer sheets were more sophisticated, he said. The state had looked at just one metric: the number of times wrong answers had been erased and changed to right ones. The schools it identified as suspect had a statistically higher rate of wrong-to-right erasures than the statewide average. It inferred that adults had tampered with the tests. Caveon maintains that counting wrong-to-right erasures is only one of several ways to mine answer-sheet data, and it can lead to false accusations. Dr. Fremer said it was common, for example, for students to lose their place in a test and erase a string of answers once they realized the mistake. Caveon’s philosophy is that it is not necessary to ensnare every cheat to reduce cheating over all. Since cheats rarely confess even when confronted with overwhelming evidence, it is better to identify the most egregious cases and ignore the borderline ones. You can also check out CEP's website for videos about State High School Tests: Exit Exams and Other Assessments. High school is becoming a focus of increased testing, as more states tie diplomas to some type of assessment and require other exams that are not linked to graduation, according to a study released today. In its ninth annual examination Requires Adobe Acrobat Reader of high school exit-exam trends, the Center on Education Policy notes the continuation of key assessment trends in high school and the addition of new trends that, taken together, suggest a net increase in testing is taking shape for high school students. Is an Online Education Worth the Cost of Admission? Answer? It depends (but this piece is actually not very thorough in it's argumentation, unfortunately). Here's the deal: State schools like University of Chicago Illinois are now offering their degree programs online, resulting in significant competition with private, online colleges. With the credit crisis in America exploding, the magnifying glass is now on the online education sector. Student loan debt has grown larger than our credit card debt and is only second to the mortgage bubble. At least when you have a mortgage you have something tangible to show for your money woes. For-profit colleges are being scrutinized for supposedly targeting low income students and putting them into programs that they can’t afford. The end result is still a bachelors degree, but is the cost of an online degree worth paying for? The cost of college has been subject to the largest inflation rates in the nation. With the college tuition rate growing 8-10 percent a year, it makes sense that students are looking for more affordable options. Online education is thought to be an affordable option for students looking to avoid graduating with over 20k in student loan debt. With online college advertisements constantly demanding our attention you have to consider them. They seem convenient, promising, and affordable, but how does the cost of an online education compare to a traditional undergraduate degree? The average cost of a 4-year degree from a traditional school is $50,000 and $25,000 for an online bachelors degree. That is a great deal of debt for a twenty-something to take on at the start of their career. Keep in mind that universities can offer scholarships and based on the student’s need, they could even qualify for grant money. That goes for online programs, too. Prospective students should file FAFSA, Free Application For Federal Student Aid, and contact their university’s financial aid office for scholarship opportunities. The online option becomes more appealing when you compare the cost, but there is more to consider. Just like traditional college, public programs are more affordable than private. State schools are now offering their degree programs online to compete with private online colleges. With competition for enrollment between the online and traditional universities, students now have the option of completing a bachelors degree online from schools like the University of Illinois without ever stepping foot on campus. This is the biggest bang for your buck. The affordable cost for an undergraduate degree from a state school becomes more reasonable when obtained online. Many students are under the impression that when they graduate from college they will be able to pay off their loans with the amazing job they get. With today’s economy, students are finding it harder to find that dream job. Yes, when you have a degree your job opportunities open up, but you have the heavy debt burden that your education created. Be prepared to start with a lower salary and work your way up. The majority of students will tell you that if given the option they would do it again, but students should consider more options when continuing their education. Dr Cintli: Arizona: Indian Removal or Modern-Day Reducciones?... : "Arizona: Indian Removal or Modern-Day Reducciones?By Roberto Dr. Cintli RodriguezSpecial-length column An Open Letter to Ariz..."
Last weekend the Senate failed to pass the DREAM Act. It would have provided a path to citizenship for thousands of undocumented, foreign born American youth who have successfully graduated from U.S. high schools and wanted to either go to college or serve in the military. The President can wag his finger at the Republicans and a few Democrats who failed to vote for the bill. However, he should also reflect on his and his advisors' role in fueling the flames of anti-immigration. Since taking office a year and half ago, the Administration has vigorously implemented immigration enforcement, without defending the need for immigration reform or using his position to humanize immigrants. More immigrants --- including young people --- have been deported under this Administration than any other in the history of the United States. This year alone they are poised to deport over 400,000 immigrants. Criminalizing immigrants without providing relief has fueled anti- immigrant sentiments, making reform more difficult. Using anti-immigrant stances to appeal to conservative voters was a strategy conceived by Democrat Rahm Emanuel who was in charge of his Party's 2006 midterm elections (a fact not lost on Chicago's immigrant communities). He branded immigration the "third rail" of American politics and instructed candidates in conservative districts to take a hard line against immigrants. This short-lived strategy failed to produce reliable voting partners in Congress and indeed most of the Blue Dogs ended up losing their elections this last time around. A different strategy --- indeed supported by 65% of American voters and almost 80% of Latino voters --- would have put the Democrats at the forefront of immigration reform. This would have positioned them to consolidate a historic realignment of Latino voters --- the fastest growing bloc in the nation --- towards the Democratic Party and simultaneously positioning themselves as world leaders on a critical issue. After all, immigrant labor is an essential part of global economies and what better country than the United States to lead on this issue. Deploying Executive Powers In the face of inaction by Congress, the President has the opportunity, indeed the responsibility, to use his executive powers to alleviate the situation. He can use his parole powers selectively to include students who would qualify under a DREAM Act as Senators Durbin and Lugar have asked. He can order a moratorium on deportations that divide families. He can emphasize deportations of those convicted of violent crimes not just minor offenses. He can protect those who are contributing to our economy. He can stop sucking up local enforcement resources that instead should be used to fight local crimes. He can certainly humanize conditions in detention centers. In the past, he has dismissed this approach by claiming that he took an oath to uphold the law and that the will of Congress is to deport those here without legal documents since they appropriate monies to do so. With this textbook interpretation of Congressional mandate, he has inadvertently created a quota system resulting in a record number of deportations, which has had the effect of poisoning public debate about this issue and has not delivered Republican support. Even as he dismisses arguments based on human rights concerns, he should understand that there are also compelling economic and political reasons to use executive power. Why deport students in whom we have invested years of public monies to educate and who are about to begin contributing to its economy, one in desperate need of a young labor force? Why divide families that are an integral part of our communities? Why not provide leadership in the face of a fear and hatred that is destroying important elements of our democracy? There is no denying that this is a very complicated issue. The United States does have a long history of rejecting, particularly in economic hard times, but also accepting into our political community immigrants (as well as others) who have been excluded on the basis of their nationality, race, gender and age. Congress has not always led the difficult fight to be tolerant and more inclusive. Presidents have had to step in, Lincoln is one example, so are Presidents Kennedy and Johnson who in the early 1960s paroled over 300,000 Cubans, including me, who were in the United States without proper documentation. This was done in the midst of public outcry about security concerns and fears that Cubans would change "the complexion of the city of Miami and that someday they would demand the right to vote." Only much later did Congress pass the Cuban Adjustment Act that provided a quick path to citizenship. The President is absolutely right in pointing out that comprehensive immigration reform is the answer and that Republicans are the main obstacle, but in the meantime he needs to own up to his own Party's shameful opportunism on this issue and exert leadership. Prior to his election, President Obama made promises he could only keep if elected. He is now in the White House, and he will be judged by whether or not he uses his powers to begin fixing a broken immigration system he so deplored during his campaign. A first step would be to place a moratorium on the deportation of "Dreamers," an act that would contribute positively to his presidential legacy, a legacy that will be tarnished if he fails to address this civil rights issue of the day. Maria de los Angeles Torres is a professor and director of Latin American and Latino Studies at the University of Illinois in Chicago. She is the author of The Lost Apple: Operation Pedro Pan, Cuban Children and the Promise of a Better Future (2004), and In the Land of Mirrors: Cuban Exile Politics in the United States (2001). As a Cuban refugee, she was a "parolee" from 1961-1965. S.A. congressman Gonzalez says caucus not deterred from immigration reform. WASHINGTON — President Barack Obama met Tuesday with the Congressional Hispanic Caucus, whose members emerged from the White House with a vow to push ahead on immigration reform after the disappointing defeat of the DREAM Act. Rep. Charlie Gonzalez, chairman-elect of the caucus, led Latino lawmakers in the Oval Office meeting with the president to discuss immigration reform strategy in the next Congress. “We discussed our deep disappointment over the failure of the DREAM Act and the lack of support from congressional Republicans, but how this will not deter our commitment to solving this critical issue,” said Gonzalez, D-San Antonio. White House spokesman Robert Gibbs said the president met with Latino lawmakers to discuss moving forward. He said the president will continue to push for bipartisan support to overhaul the nation's immigration laws. “The only way to do that is for the federal government to debate and enact comprehensive immigration reform,” Gibbs said. The Development, Relief and Education of Alien Minors Act was approved by the House, 216-198, earlier this month. But Senate Republicans, including Texas Sens. Kay Bailey Hutchison and John Cornyn, voted to block the measure in the Senate, which effectively killed the bill for lack of action. Republicans will gain control of the House when the next Congress convenes in January, making passage of immigration reform legislation favored by the Hispanic caucus more difficult. “The rule of law remains a guiding principle as we continue to seek fairer and more effective immigration law reform that serves the best interests of our country,” Gonzalez said. The meeting lasted less than an hour. Obama has met regularly with the Hispanic caucus during the year on immigration and other concerns in the minority community. Also attending the meeting Tuesday were Rep. Nydia Velazquez, D-N.Y., the outgoing caucus chairwoman, Rep. Luis Gutierrez, D-Ill., Rep. Xavier Becerra, D-Calif., and Sen. Bob Menendez, D-N.J.
June 15, 2010- The Southern Education Foundation (SEF) has released a new report which finds that a large, growing number of children in the South and the nation live in extreme poverty—surviving on less than seven or eight dollars per day. 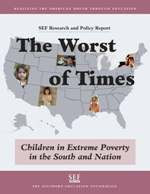 The Worst of Times: Children in Extreme Poverty in the South and Nation analyzes the latest census data for children in extreme poverty and finds that more than 5.7 million children lived in extreme poverty in the United States in 2008 in a household with an income below 50 percent of the federal poverty line—and 2.4 million or 42 percent of those children lived in the South. • The recession has expanded the number of children in extreme poverty by approximately 26 percent — adding almost 1.5 million children in extreme poverty across the nation since 2008. • School districts with high concentrations of extremely poor children have a disproportionately large enrollment of students of color—primarily African Americans and Hispanics. • School districts with the largest reported percentages of extremely poor children appear to have the least money to educate these children in the schools. • Local, state or federal policies in education fail to specifically address the needs of the nation's poorest children. SEF’s report includes lists of the 100 school districts in the US with the highest rates of extreme child poverty and of the school districts with no extreme poverty among children. Under-education and low voter participation rates, they go hand in hand. With lots of family living along the border, this has personal, if saddening, meaning for me. We must INVEST and not DIVEST. 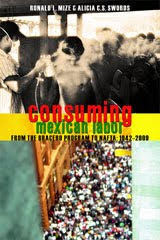 We are thrilled to announce the release of our new book, CONSUMING MEXICAN LABOR http://www.utppublishing.com/product.php?productid=2741&cat=143&page=1 , with University of Toronto Press. Mexican migration to the United States and Canada has a long and very fraught history, and remains a highly contentious issue in the eyes of many North Americans. Consuming Mexican Labor covers the time period from the Bracero Program (1942-64) to the North American Free Trade Agreement (NAFTA) to demonstrate how Mexicans have been actively encouraged to migrate northward when labor markets are in short supply, only to be turned back during economic downturns. The book is divided into three parts: the first looks at the Bracero Program and the subsequent backlash against Mexican farm workers in the United States; the second part looks at attempts by Mexican immigrants to organize effectively and resist exploitation; and the final section offers a contemporary look at Mexican communities across the continent, from traditional areas like California and the American Midwest to less traditional areas like the American Southeast and Canada. The result is a comprehensive and up-to-date look at how consumption needs in North America have significantly shaped the ebbs and flows of Mexican migration. "In the dismal shadow of Arizona and idiot nativism, this wonderful book reminds us of who turns the wheels of the North American economy and how their empowerment might save us all." Big news, folks. Now let's see what Texas does with these new seats in terms of the upcoming redistricting battle that is sure to occupy our legislators intensely this session. Texas emerged today with the biggest political boost from the 2010 Census, adding four congressional seats as a growing Hispanic population is set to challenge Republican party dominance in some districts, lawmakers said. Growth since 2000 in the second most-populous state gave Texas 36 seats in the U.S. House of Representatives, up from 32, the largest gain of any state, Census figures show. The increase raises the stakes for Republicans, who have dominated the Austin statehouse since 2002 and will draw the new district lines. In Texas, Latinos have tended to back Democrats, said U.S. Representative Gene Green, a Houston Democrat, and Blake Farenthold, a Brownsville Republican. While Hispanics make up about 37 percent of the population, Republicans hold all statewide elective offices. In states with large Latino populations, the group’s support can help sway elections. Last month in California, 75 percent of Hispanic voters in the most-populous state favored Governor-elect Jerry Brown, while 62 percent picked victorious Senate incumbent Barbara Boxer, according to the Public Policy Institute of California. Both are Democrats. Hispanics composed about 70 percent of the 3.9 million people added to the Texas population in the past decade, said Lloyd B. Potter, a demography professor at the University of Texas at San Antonio who is the official state demographer. Anglo-Americans made up 8.1 percent of the gain, he said. The growth was propelled by people seeking work in an economy buoyed by oil and gas companies and expanding technology industries, said Pat Guseman, president of Population & Survey Analysts, a research firm in College Station. Exxon Mobil Corp., the world’s largest oil company by market value, is based in Irving and Round Rock is home to Dell Inc., the third-largest maker of personal computers. About 25 percent of eligible Texas voters are Latino, the Washington-based Pew Hispanic Center said Oct. 15. About 75 percent of those who voted on Nov. 2 backed Democrats, according to Richard Murray, a University of Houston politics professor. Hispanics will dominate two or three of the new Texas districts, predicted Green, Farenthold, Gonzales and state Representative Delwin Jones, a Lubbock Republican who has led redistricting committees three times. Farenthold, who in November defeated 28-year incumbent Solomon Ortiz in his southeast Texas district, said the election showed Latino voters will support an Anglo-American Republican who shares their views on abortion and other key issues. Farenthold beat Ortiz by less than 1 percent of the vote in the district, which borders Mexico. The 435 congressional seats are reapportioned every decade after completion of the decennial census, with each district drawn to contain roughly the same number of people. After the 2000 Census, each district was supposed to have about 647,000 people, which will now increase to reflect the nation’s growth. The reapportionment also will alter electoral-vote calculations for presidential elections. A state’s Electoral College vote is the sum of its House and Senate seats. Federal law prevents legislators from drawing reapportioned districts filled with too many or too few voters from minority groups, said Bruce Cain, who teaches politics at the University of California, Berkeley. “Texas Republicans will try to pack Latinos into districts to the extent they can to limit Democratic strength in the state,” he said. In the last redistricting, Tom DeLay, a U.S. representative from suburban Houston who was House Majority Leader from 2003 to 2005, “wiped the Democrats out,” Murray said. On Nov. 2, 23 Texas Republicans won election or re-election to Congress for a net gain of three seats. DeLay engineered a redistricting plan in the state Legislature that enabled Republicans to pick up five House seats in 2004. Democrats tried to block the plan by leaving the state. Last month, DeLay was found guilty of channeling $190,000 in corporate donations to legislative candidates and of conspiring to commit money laundering. Republicans now hold 101 of the 150 seats in the state House, enough so that they can pass bills without the votes of any Democrats. The party also controls 19 of 31 Senate seats. Rick Perry, a Republican, has been governor since George W. Bush was elected president in 2000. Republicans elected statewide include U.S. Senators Kay Bailey Hutchinson and John Cornyn. Five-term state Representative Aaron Pena of Edinburg, elected as a Democrat, and colleague Allan Ritter of Nederland in East Texas both strengthened the Republican hold by switching parties last week. “If you don’t have a seat at the table, you may be on the menu,” Pena, 51, wrote on his blog on the day of his switch. Republicans will be fair in the redistricting process, said Pena, who is part of his South Texas district’s Latino majority. “There is a trending away among Hispanics from the Democratic Party,” he said in a telephone interview. Such a trend may be crucial to the party’s continued dominance in the state: Hispanics may outnumber Anglo-Americans in Texas by 2017 because of higher birth rates, lower mortality and continued migration, said Potter, the state demographer. To contact the reporters on this story: David Mildenberg in Charlotte at dmildenberg@bloomberg.net; Darrell Preston in Dallas at dpreston@bloomberg.net. Some good news that came out of the hard work that many people, Gary and Joey included, put into questioning the SBOE's decision making on social studies standards. For those of you who were around and present during the SBOE hearings and special hearings in the legislature you'll know that it was the work of many people that has led to this federal investigation. Let's just hope that the OCR has the capacity to assist. As we head into the upcoming legislative session, the point made here about the civil right's continued concerns about high-stakes testing is definitely an issue. These are growing concerns, especially at the high school level where incoming 9th grade students during the 2011-12 academic year will be the first cohort to undergo Texas' new system of accountability and assessment (HB 3). HOUSTON — Two civil rights organizations are seeking a federal review of public school education in Texas, accusing state school administrators of violating federal civil rights laws after curriculum changes approved earlier this year by the Texas Board of Education. The request to the U.S. Department of Education made by the Texas NAACP and Texas League of United Latin American Citizens on Monday contended that the curriculum changes passed in May "were made with the intention to discriminate" and would have a "stigmatizing impact" on African-American and Latino students. "The State of Texas is failing to provide many of its minority students with equal educational opportunities," documents sent to the federal department said. Besides the curriculum complaint, they accused the state, the Texas Education Agency and the Texas Board of Education of "miseducation" of minority students, disparate discipline for minority students, using accountability standards to impose sanctions on schools with high numbers of minority students and rules leading to underrepresentation of minorities in gifted and talented school programs. Texas Education Agency spokeswoman Suzanne Marchman said the complaint was being reviewed but had no immediate comment Monday. Gail Lowe, chair of the education board, said she was aware of the filing "but I don't know the specific nature of any allegations or problems they allege." Capping a contentious meeting in May and after months of discussions, the Republican-dominated Texas State Board of Education, voting along party lines, adopted a social studies and history curriculum that amended or watered down the teaching of the civil rights movement, religious freedoms, America's relationship with the United Nations and hundreds of other items. Supporters said the revisions were intended to correct decisions by a previous board a decade earlier. "This is like in your face, like showing the ultimate in disrespect," Bledsoe said. "To suggest the positive aspects of slavery or to exalt Jefferson Davis of the Confederacy is just an abomination. I mean no disrespect to people who may have had ancestors who were part of that, but it is what it is." The ideological decisions by the school board contribute to what 4.8 million Texas students learn about political events and figures over the next decade. The request by the civil rights groups argued those decisions may have influence beyond the state boundaries because Texas, as one of the nation's largest textbook purchasers, influences publishers whose textbooks are sold elsewhere. "It is our contention that the (school board) curriculum changes were made with the intention to discriminate," Bledsoe and Cardenas said in their filing to the federal department's Office for Civil Rights in Washington, and the board's action "has violated or will violate" the Civil Rights Act and the Constitution. "It's not a lawsuit but it is kind of a potential legal proceeding," Bledsoe said of the request in an interview. "We've asked them to do a proactive review . to do a more in-depth review in reference to the concerns we've raised, and in the course of that review we're asking that if we're vindicated that some of the things we get would be stopping them from implementing these standards." Their request for a federal review also pointed to "high stakes" state assessment tests "that do not adequately test for all relevant and important educational information," contending the standardized tests given to students "disproportionately fail minority students and ultimately are important factors in causing large numbers of minority students to drop out of Texas public schools." In addition, they contended disciplinary actions against minority students compared to white students "are grossly disproportionate and unjustified." This is a good, quick analysis of the politics of immigration. Obama's deported more immigrants than any other president in any other two-year time period and what did he get from it? Certainly not support for the DREAM Act. Too little, too late. This is a huge disappointment for our nation. Whenever Rep. Luis V. Gutierrez (D-Ill.) and other immigrant-rights advocates asked President Obama how a Democratic administration could preside over the greatest number of deportations in any two-year period in the nation's history, Obama's answer was always the same. Deporting almost 800,000 illegal immigrants might antagonize some Democrats and Latino voters, Obama's skeptical supporters said the president told them, but stepped-up enforcement was the only way to buy credibility with Republicans and generate bipartisan support for an overhaul of the nation's immigration laws. On Saturday that strategy was in ruins after Senate Democrats could muster only 55 votes in support of the Development, Relief and Education for Alien Minors (DREAM) Act, a measure that would have created a pathway to citizenship for undocumented immigrants who were brought to this country as children. Under Senate rules, Democrats needed 60 votes to overcome Republican opposition to the bill. The House of Representatives had passed the measure earlier this month, 216 to 198. The irony of the DREAM Act's failure is that it had strong bipartisan support at the start of the administration, and advocates believed it could generate momentum for more controversial policy changes. But as the country's mood shifted on the issue of illegal immigration, support among Republicans and some Democratic senators evaporated, with many decrying it as backdoor amnesty for lawbreakers. Even a former co-sponsor of the DREAM Act, Sen. Orrin G. Hatch (R-Utah), voted against it. Virtually no one believes immigration overhaul is possible in the next two years, given the views of many members of the incoming Republican majority in the House. Now many immigrant-rights supporters are second-guessing the president's efforts to woo Republicans by ramping up deportations. "It is a strategy which has borne no fruits whatsoever," Gutierrez said. "This administration has unilaterally led the march on enforcement, yet the other side has not given one modicum of compromise." "If you really want to bring Republicans to the table," he added, "so long as they are getting everything they want, every piece of enforcement, why, why would they come to the table?" At a recent press briefing, Department of Homeland Security Secretary Janet Napolitano denied that the administration had increased deportations to bring Republicans to the bargaining table. "I don't view it as a quid pro quo," Napolitano said. "We enforce the law because we took an oath to enforce the law." But a senior administration official, who spoke on the condition of anonymity in order to speak candidly, said that although there was no explicit quid pro quo, the administration had indeed hoped that tougher enforcement could create a new climate where legislative compromise became easier. "One of the arguments that gets trotted out regularly is that the government can't do its job," the official said. "We believe the government can do its job, and our work hopefully is evidence of that." Latino groups pushed hard for passage of the DREAM Act, mobilizing thousands of students to campaign for the measure across the nation and the Washington area. They went on hunger strikes, conducted prayer vigils, and organized holiday food drives and Thanksgiving dinners with citizens. The DREAM Act would have given hundreds of thousands of illegal immigrants brought to the United States before age 16 a chance to gain legal status if they have been here for five years, have graduated from high school, have no criminal record and attend college or serve in the military for two years. "I am not asking for just a vote for the DREAM act today," said Sen. Richard J. Durbin (D-Ill.), who tried, along with Gutierrez, Napolitano, Education Secretary Arne Duncan and others, to round up enough Republican votes for passage. "From some of my colleagues, I am asking for much more -- I am asking for a vote of political courage." But the Obama administration miscalculated conservative antipathy on the subject of immigration, said a senior Democratic Hill staffer, speaking on the condition of anonymity since he was not authorized to talk about the issue. Even as the administration stepped up deportations, conservatives charged Obama with being too soft on the country's estimated 11 million illegal immigrants. "Short of marching these people naked over the border at the point of a bayonet, there is no such thing as being tough enough" for those who want to target illegal immigrants, the staffer said. Immigrant-rights advocates believe the issue will reverberate through the 2012 elections. Obama will have to persuade Latinos -- who turned out for him in record numbers in key states in 2008 -- to do so again, despite the lack of progress on legislative initiatives. For Obama to get into trouble, Hispanics don't have to switch sides on election day - they just have to stay home, Latino leaders said. Republicans, meanwhile, have discovered that they can talk tough on immigration and still appeal to Latino voters by picking conservative Hispanic candidates. That produced three significant Republican victories in 2010: Marco Rubio captured a Senate seat in Florida and Susana Martinez won a gubernatorial race in New Mexico, as did Brian Sandoval in Nevada. Rubio is already being mentioned by some as a vice presidential pick. Ali Noorani, who heads the National Immigration Forum, an immigrant-rights group, said Obama faces a dilemma going forward. Republicans would now cry foul if the administration eased up on deportations, he said. But Latinos are losing patience with a strategy that has produced pain without gain for their families and communities. "The administration is in a pickle of epic proportions," Noorani said. "They are going to feel incredible pressure in the House to increase enforcement, and the record shows they will continue to increase enforcement of a broken immigration system. On the other hand, candidate Obama will need those same Latinos, Asians and other immigrant voters to come out for him in record numbers. How do they square that circle?" The senior White House official said the administration has no plans to pull back on enforcement just because Republicans were unlikely to support a bipartisan overhaul of immigration laws in the next two years. "In the short term, there is not a lot of evidence [Republicans] will come forward, but our response is not going to be to dismantle immigration enforcement," the official said. State Superintendent of Public Instruction Jack O’Connell has released the annual report on dropout and graduation rates for the 2008-09 school year. In 2008-09, 70.1 percent of public school students in California graduated from high school, up from 68.5 percent last year. The adjusted four-year derived dropout rate for the same school year is 21.7 percent, up from 18.9 percent last year. The graduation rate among Hispanic students is 59 percent, a 4.9 percentage point increase since last year. Among African American students the graduation rate is 59.6 percent, a 1.4 percentage-point increase. 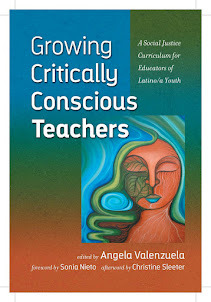 The estimated dropout rate among Hispanics is at 26.9 percent and among African Americans it is 36.9 percent. The percentages for both subgroups are up by approximately 3 percentage points, mirroring the percentage increase in the statewide results. Right now the California Department of Education is collecting the student-level exit data for the class of 2010. All public school students were assigned non-personally identifiable codes called Statewide Student Identifiers by June 2005 that follow the child throughout his or her academic career. The use of SSIDs increases accountability for districts to find students who stop coming to school. SSIDs also help districts identify students who were considered a dropout from a school they left but who were actually enrolled in a different district. The data also allows the department of education to identify students who have been reported by a school district as transferring to another California school district but who cannot be found subsequently enrolled. These students are now properly counted as dropouts rather than transfers. The dropout rates are calculated for high school students, grades nine through 12. Significant numbers of students dropped out of school during the middle school years. Although dropouts for middle school grades are counted, middle school dropout rates have never been calculated. CDE staff is working on developing the rates for middle schools that will be released at a later date. Traditional high school dropout rates will tend to be lower than the state rate and graduation rates will be higher because many students at risk of dropping out are placed in countyrun dropout recovery or educational option programs. So if students drop out, this would be attributed to the county-run or educational option program, rather than to the traditional high school. These programs would often have inflated aggregate dropout rates because the aggregate dropout calculation is based on a single day of enrollment. These schools have very high rates of students moving into and out of the system. Therefore, dropout-rate calculations are not posted for schools that are operated by county offices of education because of constraints in interpreting these calculations with highmobility students. To view the complete data, go to http://dq.cde.ca.gov/Dataquest. School finance suit on hold? AUSTIN — Texas school districts are ready to sue the state again over public school funding but likely will wait to see what the state Legislature does in the spring. “School districts are so disgusted and fed up with this funding situation because it's the same thing year after year after year. We're ready to go,” said John Folks, past president of the Texas Association of School Administrators. Folks is the superintendent of San Antonio's largest school district, Northside Independent School District, and the former superintendent of Houston's Spring ISD. School districts complain of funding disparities that create large differences — more than $20,000 per classroom — with neighboring school districts. They contend education funding is not keeping up with overhead costs and is insufficient to meet more rigorous academic standards. At least 60 percent of school districts are now using reserve funds to help pay operating expenses, according to the Texas Association of School Boards. Adding to educators' anxiety is the upcoming legislative session in which public school funding cuts are expected to be on the table. State and legislative leaders have pledged to cut their way out of a budget shortfall projected to exceed $20 billion over the next two years. With public education eating up 44 percent of the state's general revenue budget, it will be virtually impossible to spare schools from the ax. Even a 5 percent cut would mean $30 million less for Folks' school district, resulting in larger class sizes and cuts in staff and programs, said Austin lawyer Buck Wood, a veteran litigator from previous school finance lawsuits. Adding to the urgency is the fact that Texas is adding about 85,000 public school students a year. “That begs the question — whether or not you are really gutsy enough to go in and start voting to fire 10 percent of your teachers in your school districts. That's what it's going to take, literally, to make that kind of cut,” Wood said.The San Antonio Independent School District feels particularly squeezed because it has one of the lowest revenue-per-student levels among the school districts in Bexar County. San Antonio ISD's $5,408 per student is $344 below the statewide average, according to Texas Education Agency figures. San Antonio ISD would have an extra $86 million if it received the same per-student funding as Alamo Heights ISD. Funding formulas are based on 2006 allocations and a bill that Texas legislators approved in May of that year. “We are disappointed that public education stands to be cut, but it is inevitable given that the projected deficit is over 27 percent of the state budget, and K-12 expenses make up 44 percent of the state budget,” San Antonio ISD Superintendent Robert Durón said. Until Texas Comptroller Susan Combs provides a revenue estimate next month, state officials and legislative leaders will not know the actual size of the budget shortfall. House Public Education Chairman Rob Eissler, R-The Woodlands, said he doesn't see how public education can escape cuts but is working on a plan to make sure reductions don't hurt equity or erode “adequate” school funding. “I would like to come up with a more transparent, fairer and simpler school finance plan that is a cost-based revenue system rather than a revenue-based cost system,” he said. The school funding system is based on how much revenue the state has instead of one based on the true cost of educating the state's 4.8 million public school children. Durón prefers that school districts wait before seeking help in the courts. “Waiting a few more months to see what happens cannot hurt. It will take years for a resolution to come back from the court option,” he said. It makes sense to wait, agreed David Hinojosa, a senior lawyer for the Mexican American Legal Defense and Educational Fund, which has played key roles in earlier Texas school funding lawsuits. The state lost four school finance rulings before the Texas Supreme Court stemming from the 1984 Edgewood case — and another high court ruling went against the state in 2005. Budget cuts to education could be devastating at a time when the state continues to ratchet up academic standards and school dropouts remain a challenge, Hinojosa said. Some legislators and groups believe education funding is sufficient, although not appropriately spent. “We want more education for our dollars. We don't want to simply continue to throw more dollars at education,” said Peggy Venable, director of Americans for Prosperity-Texas, a group that advocates for smaller government. Only 50 percent of funding goes for actual instruction, she said. Longtime school finance expert Lynn Moak of Austin said Texas faces a challenge and a choice. Over the past 10 years, the number of Texas public school children from low-income families has increased by about 894,000 — virtually representing the entire enrollment growth. Youngsters from low-income families are more expensive to educate because of several factors, including language difficulties. A critique of the next wave of fiscal accountability. Will be a big issue this coming session. You can access information on the Comptroller's FAST study and information from an earlier post to this blog here: Texas Lawmakers look to cut Tx Education Budget. Texas public school districts surely must spend their money smarter. But you can't buy student achievement at Walmart. A new report that rates schools based on an assessment of per-pupil spending emphasizes ways to cut costs but doesn't give a complete picture either of academic progress or bang for the buck. The Legislature directed the state comptroller to identify districts that are educating kids efficiently and to pinpoint potential areas of improvement. And that's what the Financial Allocation Study for Texas, or FAST, attempts to do. The report says that "the existing data are informative, but lack the nuance needed" to "identify efficient school expenditure practices that advance student achievement." The comptroller's team evaluated the state's more than 1,200 districts and charter schools on how much their students progressed in 2007-09 on state reading and math tests. The team also examined the districts' spending for instruction and operations, then put all the data through a formula to come up with an efficiency rating. The Keller school district got a 5 (the highest); Arlington a 3 and Fort Worth a 1.5. The report's conclusions about Fort Worth's academic progress are inconsistent with what the district's own analyses show based on results on the Texas Assessment of Knowledge and Skills: that scores are going up each year in most categories and achievement gaps are closing, though some student groups still have far to go, particularly African-American middle and high schoolers in math. And the financial comparison model might yield misleading results. To measure costs, the report team divided districts into groups of financial peers that "operate in a similar cost environment, are of similar size and serve similar students." Fort Worth, Arlington, Dallas, San Antonio and Houston thus were in a peer group -- but they also were lumped with far more homogeneous and upscale districts like Plano, Lewisville, Conroe, Cypress-Fairbanks and Round Rock. The urban districts almost certainly have higher costs because of the needs of the populations they serve. Hank Johnson, Fort Worth's chief financial officer, said that during the years analyzed, Fort Worth spent millions to adopt a new information system to manage data about students and business operations; install cabling and fiber optics; realign the curriculum; and develop new internal tests to measure student progress. Those one-time investments were meant to help the district improve student achievement. But only an assessment of future data will show whether they've had that effect. Texas public schools spent an average of $11,567 per student in 2008-09, the report says. The number skews high because of the per-pupil costs in some of the smallest and far-flung rural districts, such as San Vicente ($33,678 per each of 33 students) and Marathon ($32,430 per 47 students), both in Brewster County, and Guthrie ($33,291 per 95 students) in Comanche County. Fort Worth's per-pupil cost is $7,712 for 79,114 students, according to the report. Arlington's is $6,884 for 62,953, and Keller's is $6,204 for 30,173. The report includes examples of ways districts have saved money but fails to connect any of the methods to improving achievement. It also veers into making recommendations that have political implications or would cost jobs. The top recommendation is to make the 22-to-1 student-teacher ratio in kindergarten to fourth grade an average, not a limit. The report also suggests basing teacher salaries on performance, not experience or degrees, and requiring that publishers provide textbooks in e-reader versions. CIUDAD JUAREZ, Mexico -- At least once or twice a day, sirens blare here as firefighters in this violent border city speed to the latest store or restaurant that gangsters have firebombed for ignoring extortion demands. Boarded up businesses and abandoned restaurants give parts of the city a ghostly look as organized crime strangles economic activity. Now as Christmas approaches, mobsters have chosen a new target, turning their sights on humble schoolteachers. Painted threats scrawled outside numerous public schools demand that teachers hand over their Christmas bonuses or face the possibility of an armed attack on the teachers - and even the children. To make the point clear, assailants set fire to a federal preschool in the San Antonio district a week ago, leaving the director's office in smoldering ruins. Scribbled on the wall in gold paint was the reason: "For not paying." The targeting of teachers in Juarez's 1,270 preschool, primary and secondary schools is a sign of the depravity that rules in a city whose name has become synonymous with homicide. Gangs already have shaken down other parts of the municipal social fabric - doctors, dentists and even ambulance drivers. Now with the targets being teachers, parents have pulled thousands of children from schools where heightened security already had turned them into seeming prisons, enclosed with coils of barbed wire atop concrete walls. Three schools have closed for fear they might come under armed attack. "We are scared," admitted Maria de Jesus Casio, principal of the Ramon Lopez Velarde Elementary School. But she also said teachers don't want to pay. "Teachers don't have much money. The salaries are just enough for survival." Teachers in this city earn an average of $650 a month. Christmas bonuses vary but the average is about a month's pay. "For the well-being of everyone, and the children, pay 50,000 pesos." That same day, assistant principal Jorge Alberto Palacios said that he found a notice on his pick-up truck that "talked about a massacre of children" and indicated where to drop the money. A third message came in a school telephone bill. The threats arrived at a dozen schools, perhaps more, according to news reports, though a senior school official would speak only in general terms. "The educational system is under threat by criminal groups," Javier Gonzalez, the under secretary for education in northern Chihuahua state, said in an interview. "We're just praying to God that there never is an event of this nature." Gonzalez said parents want police cruisers posted outside each school "but this kind of possibility doesn't exist" because there aren't enough patrol cars. Authorities have kept secret when bonuses will be deposited into teachers' bank accounts in hopes of making it more difficult for gangsters to strong arm the teachers. The lime-green school that Casio leads is awash in graffiti, although inside its fenced grounds, children play merrily. After the threats arrived, Casio called her teachers together, the 23 from the morning shift and the 13 from the afternoon. "We explained everything to them. We took a few measures, like trying to leave school all in a group. We set up a phone tree. We told parents to pick up their children promptly," she said. Security got even tighter. The playground and basketball court that once stayed open till late in the evening now close promptly at 6 p.m. A municipal police officer painted over the threat on the fence. As in many parts of the city, the block around the school is suffering. A glass store and its glazier owner recently shut down. "He closed it and moved to El Paso because of extortion," said Palacios, referring to the Texas city across the Rio Grande from Juarez. Hardly anyone is free from extortionate demands. They come from either of the two major crime groups fighting for control of the Ciudad Juarez area, the Sinaloa Federation or the Juarez cartel. Or they come from the myriad of street gangs who work for the cartels and also battle one another. This year, Juarez has chalked up more than 2,950 homicides, a pace of nearly 10 per day, making it one of the most dangerous cities in the world. Faced with the threat of having their businesses strafed with gunfire or hit by Molotov cocktails, some owners shut or pay extortion but no longer pay city taxes. City revenues plummeted 8 percent this year and are projected to fall 15 percent in 2011, a sign of reduced economic activity, the local El Norte newspaper reported. "We have 50,000 fewer jobs in Juarez than we did in 2008," said Guillermo Soria, director of the local branch of the National Chamber of Commerce. "Every day, at least two people come to say, 'They are extorting me. What do I do?' "
Soria voiced sadness at the pre-Christmas spate of extortions. "I think even criminals should have some ethics," Soria said. "Taking away people's Christmas bonuses is really low." Even as crime gangs target teachers, they are also hitting at the city's 4,000 or so physicians. So far this year, 20 doctors have been kidnapped, and two killed, said Dr. Leticia Chavarria as she emerged from a funeral mass for a beloved surgeon slain by drug gangs last weekend even though his family paid a ransom. Emergency room doctors are particularly unnerved. Six times this year, armed gangs have burst into hospitals to finish off victims wounded on the street, Chavarria said. "Every doctor who leaves Juarez leaves a hole," she said. "There is a lack of cardiologists now, and no specialists like this are arriving anymore." Dr. Alfonso Sanchez Brito, a vascular surgeon, bemoaned how crime had touched most all of the 1.3 million residents of Ciudad Juarez. "Everyone from the most humble street vendor to high society people are victims of extortion," he said. "The only thing I know is that it is terrorism." At the pre-primary school hit by arson Dec. 5, director Norma Pena said her school had been sacked of anything valuable. "They constantly rob from us - the metal bars from the fence, the air conditioners, even the swing sets," Pena said. "The laws are so soft. The laws are no good. When they catch someone, they let them go right away. The criminals threaten the authorities." Casio, the principal at the elementary school across town, has spent 27 of her 34 years as a teacher and administrator at the same neighborhood school. "We feel the caring and love people have for our school. This is what keeps us going," Casio said. But the crime gangs are sapping hope. "They respect no one. What is there to rob in this school? And we teachers, with our salaries, have even less." Wow, $335M to associate two student test scores to a few characteristics. Someone is making a lot of money to help push a narrow teacher effectiveness model. Financed by the Bill and Melinda Gates Foundation, the two-year project involves scores of social scientists and some 3,000 teachers and their students in Charlotte, N.C.; Dallas; Denver; Hillsborough County, Fla., which includes Tampa; Memphis; New York; and Pittsburgh. The research is part of the $335 million Gates Foundation effort to overhaul the personnel systems in those districts. Statisticians began the effort last year by ranking all the teachers using a statistical method known as value-added modeling, which calculates how much each teacher has helped students learn based on changes in test scores from year to year. Now researchers are looking for correlations between the value-added rankings and other measures of teacher effectiveness. Research centering on surveys of students’ perceptions has produced some clear early results. Thousands of students have filled out confidential questionnaires about the learning environment that their teachers create. After comparing the students’ ratings with teachers’ value-added scores, researchers have concluded that there is quite a bit of agreement. Classrooms where a majority of students said they agreed with the statement, “Our class stays busy and doesn’t waste time,” tended to be led by teachers with high value-added scores, the report said. The questionnaires were developed by Ronald Ferguson, a Harvard researcher who has been refining student surveys for more than a decade. Few of the nation’s 15,000 public school districts systematically question students about their classroom experiences, in contrast to American colleges, many of which collect annual student evaluations to improve instruction, Dr. Ferguson said. “Kids know effective teaching when they experience it,” he said. Until recently, teacher evaluations were little more than a formality in most school systems, with the vast majority of instructors getting top ratings, often based on a principal’s superficial impressions. Washington, D.C. – The League of United Latin American Citizens, today urged members of Congress to vote in support of the Development, Relief and Education for Alien Minors (DREAM) Act (S. 3992), a bill that promotes fundamental fairness in access to higher education for all high school students, regardless of immigration status. On Monday, Senate Majority Leader Harry Reid (D-NV) filed a cloture petition on S. 3992 that could set the cloture vote for as early as today. A House floor vote on the DREAM Act is expected to take place today. "The DREAM Act is absolutely crucial to ensuring that all young people in the United States, regardless of their immigration status, can achieve their educational and vocational goals," said LULAC National President Margaret Moran. "The students who stand to benefit from this bill are talented, motivated young adults who have gained admission to college, overcoming many obstacles. Providing these students with the opportunity to pursue a better future for themselves and their families is a quintessentially American gesture and would be a tribute to American values of fairness and equal opportunity." The DREAM Act is common-sense legislation drafted by both Republicans and Democrats that would give students who grew up in the United States a chance to contribute to our country's well-being by serving in the U.S. armed forces or pursuing a higher education. Because it is the right thing to do, the DREAM Act has long enjoyed bipartisan support. It is limited, targeted legislation that will allow only the best and brightest young people to earn their legal status after a rigorous and lengthy process, and applies to those brought to the United States as minors through no fault of their own by their parents. These are young people who know no other home. The DREAM Act would provide affordable post-secondary education and military service opportunities for undocumented immigrants who came to the U.S. as children, have lived here for at least five years and have graduated from high school. DREAM has the support of President Obama, Secretary of Defense Robert Gates and former Secretary of State Colin Powell. According to a recent UCLA study, students that would be impacted by the DREAM Act could add between $1.4 to $3.6 trillion in taxable income to our economy over the course of careers, depending on how many ultimately gain legal status. This income is substantially higher than the income they would earn if they were unable to attend and complete a college education. In fact, research indicates that the average college graduate earned nearly 60 percent more than a high-school graduate. We have much to gain from doing right by these young people. The League of United Latin American Citizens, the largest and oldest Hispanic membership organization in the country, advances the economic condition, educational attainment, political influence, housing, health and civil rights of Hispanic Americans through community-based programs operating through 880 LULAC councils nationwide.